Linx is a cloud-based and on-premise business process management solution that offers low-code application development for businesses. Designed to reduce development time and costs, IT professionals access Linx to create, integrate, and automate business applications. 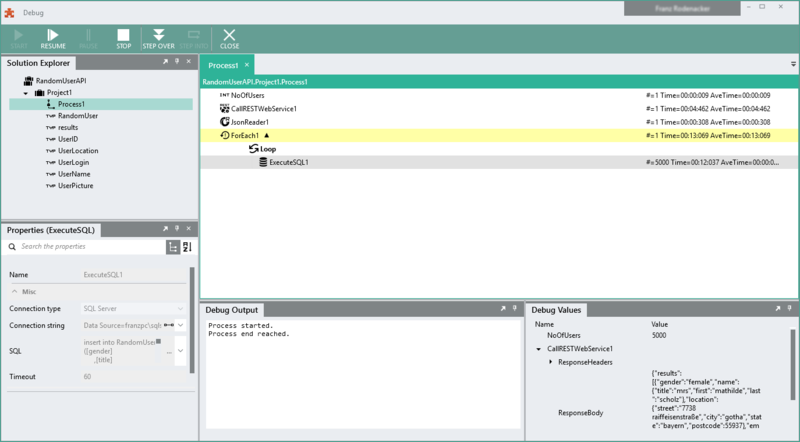 Linx is a drag-and-drop integration tool that integrates systems and automates repetitive tasks. Linx the pre-tested drag-and-drop components produce process-focused business solutions for users. Other features include integration with existing systems and event driven automation. Versatile and scalable, Linx can generate Windows processes, create and consume web services, integrate legacy or SaaS systems, automate data transfers, high volume file handling, and more. With Linx, users focus on building applications, solutions, systems, and automated processes. The Linx designer allows users to create a customized set of processes without applying any code. Not sure if Linx is right for you? Use our Product Selection Tool to compare other business process management solutions. Have questions? Call one of our unbiased Technology Advisors for a free consultation. Learn everything you need to know about Linx. Our experts will reach out to you shortly.